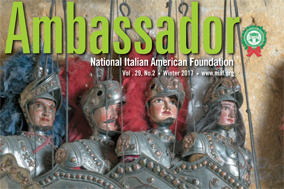 (Washington, D.C. – October 4, 2017) The Marriott Wardman Park Hotel will be swathed in festive colors of red, white and green November 3-5, 2017, when the National Italian American Foundation (NIAF) celebrates its 42nd Anniversary Gala Weekend. “This year’s event will pay tribute to the region of Sicily with an activity-filled program of people, places and things that reflect the timeless traditions Sicily has been known for over the generations,” said NIAF President John M. Viola of NIAF’s 2017 Region of Honor. 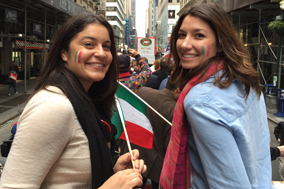 The Gala Weekend begins on Friday, November 3, 8:30 a.m–8 p.m., when NIAF University offers introductory sessions in “all things Italian” that are free and open to the public. Want to learn la bella lingua? Take an introductory class taught by the Italian Cultural Society of Washington, D.C. Or, attend an Italian cooking demonstration by expert chef and cookbook author Domenica Marchetti. Delve into the history, language and culture of Sicily with expert Dr. Gaetana Cipolla. Educate your taste buds as Gianluigi Dellaccio, the gelato genius of D.C.’s Dolci Gelati, demonstrates how to make gelato and scoops free samples! And much more! Seating for NIAF University sessions is limited. To reserve a seat or for more information, contact Stephanie Gordon at sgordon@niaf.org. Custom Italian cocktails will be served at the open bars. Guests can also look over silent auction items, which will include trips to Italy, five-star hotel stays and extraordinary products reflecting Italian design and craftsmanship. Open to the public. For tickets, visit www.niaf.org/gala. On Saturday, November 4, Expo Siciliana will showcase entertaining, educational and commercial offerings of Italian American and Sicilian exhibitors, 9 a.m.–4 p.m. From the best Italian wines and Sicilian vodka, to breath-taking Italian automobiles, curated tours of Italy, free samples of Italian culinary artistry, and espresso like those brewed at cafes on the streets of Taormina, this is the largest Italian Festival every year in the Nation’s Capital. And there’s more! 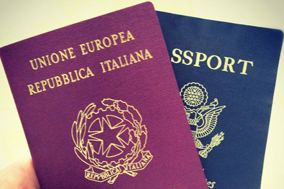 Visitors can learn how to trace their heritage, apply for dual American Italian citizenship, or plan a vacation to Italy with experienced tour operators. 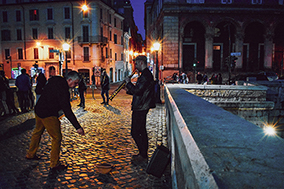 Play the traditional Italian pastime bocce ball, practice dancing traditional Sicilian steps, or learn about the benefits of the Mediterranean Diet. Sicilian Marionette performer Tony De Nonno will pull the strings on playful Sicilian puppets; Mike’s Deli from Arthur Avenue in the Bronx will once again bring complimentary boxed subway sandwich lunches (available while they last); and the NIAF Wine Tasting will again offer remarkable Italian wines for tasting and purchase. Expo Siciliana visitors can also view films by winners of the inaugural Russo Brothers Italian American Film Forum; and sit in on a reading and book signing by Stephen Talty, author of the “The Black Hand,” a non-fiction book about the early-1900s terrorist secret society and the heroic Italian American NYPD detective who fought it. Expo Siciliana is free and open to the public. For more information, contact Stephanie Gordon at sgordon@niaf.org. Concluding the events of November 4, the NIAF Gala Reception will be followed by the NIAF 42nd Anniversary Awards Gala, a seated, black-tie, Sicilian dinner recognizing honorees who have achieved special distinction and reflected pride of the Italian and Italian American communities in their outstanding accomplishments. Emceed by Emmy Award-winning journalist and Fox Business Network anchor, Maria Bartiromo, and award-winning comedian and actor Joe Piscopo, this is an evening not to be missed. For tickets and sponsorships, contact Stephanie Gordon at sgrdon@niaf.org. The annual (and infamous) After Hours Party will feature everyone singing traditional music and dancing the tarantella. A Sunday Mass, conducted in Italian, will be celebrated the morning of November 5, at the Holy Rosary Church, in Washington, D.C.